Nice one & also welcome. Very nice one - specially like the colour of the hood! Looks stunning , nice shiny wire wheels and the colour is very subtle . Nice traditional colour combination. Just get careful you don't get invited on any BBC period dramas. 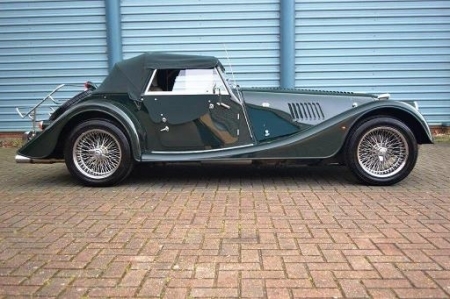 Vicar in a Morgan, they would be all over it!